Sri Vishnu Life Energy (Prana) Courses are developed to eliminate stress and improve the vitality of the holistic being (Body, Mind & Soul). These courses are designed for everyone over the age of 14 (male and female). 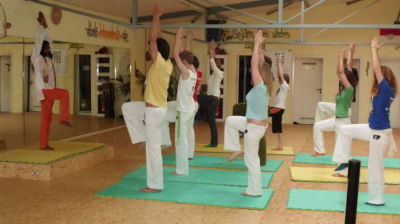 Regular practice of a combination of Yoga, Relaxation and Breathing techniques OR Yoga, Dance and Breathing techniques. special or individual courses are conducted on request. Heute waren schon 15 visitors (23 hits) hier!